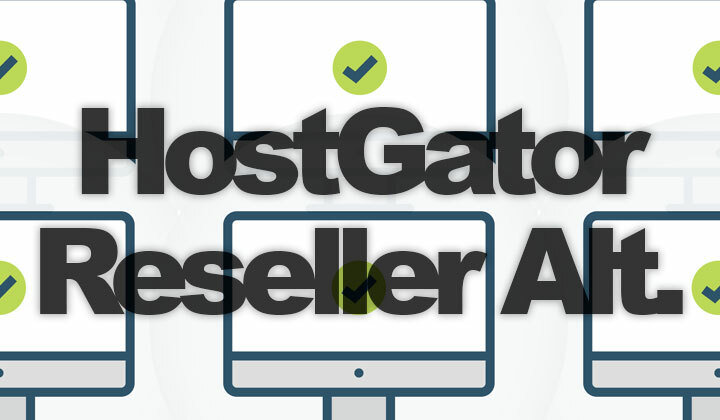 Looking for an alternative for the HostGator reseller plan is a good idea! Trusting on their unlimited domains offer, and confusing, unclear policies might not. Read below for the best HostGator Reseller alternatives & review in 2019. Going the reseller hosting path can be tricky, since you are obviously looking for a good deal but need to have a big amount of sites running smoothly. You need to know what you are singing up for with good pricing and probably avoid the kind of upselling HostGator is heavily engaged in. For example, all below alternatives offer free SSL for each and every website. Unlike HostGator which has you pay for anything nice. My first suggestion is the reseller plan from A2 Hosting. Pricing starts at $13/month for 40 cPanel accounts for really nice support and solid, fast performance for each website. Select from two data centers in the USA (Michigan, Arizona), or in Europe (Amsterdam), Asia (Singapore). It’s the lowest I can offer with confidence if meticulous uptimes, performance and support are something you are looking for from reseller hosting. Want the cheapest possible, without regrets? My second suggestion goes to the HawkHost reseller plan. If you want to squeeze in 50 cPanel accounts at $12.99/month with flat pricing, you can host your websites with HawkHost without having to worry about a lack of resources. While still getting excellent support and uptimes, both really important. Also, unlike HostGator you can select from a range of quality data centers. Locations are at Dallas (US), New York (US), Los Angeles (US) and Singapore (Asia). So what’s the problem with HostGator’s reseller hosting plan and reason to look for alternatives? Well, there are several negative issues that I can point out to you. HostGator’s unlimited domain offer for each plan is one. Considering that nowadays every website in the world should be hosted on HTTPS for SEO and security benefits, as well as that you need to pay $31.99/year and upwards for each SSL certificate for each domain.. I’m sure they would like you to host as many websites as possible. Not to mention what it will look like if you are trying to resell hosting accounts without free SSL which is the current norm of the industry. On top of that, there are several restrictions in place. Not just the clearly visible bandwidth and disk space limits. Also resources are monitored, and you’re accounts are disabled if you cross over these rather unclear limits. Considering that someone could potentially host hundreds of domains with their reseller plan, these restrictions are needed on HostGator. It’s just that going with an alternative that limits the number of cPanel accounts is going to get you a lot more performance while keepings this affordable. Leave me a comment if you have any questions on reseller hosting? Also, your reasonable suggestions for HostGator reseller alternatives are welcome too! Thanks for popping-by and reading my review. Warm regards, Tim. And last but no least, to keep the blog transparent I want to state that occasionally there are affiliate links, which I could profit from. Huge, sincere thanks! Next KeyCDN Free Trial & Cost Guide. Misleading Pricing Policy Warning!